In order to maintain and promote a positive sports culture in Europe, a complete aware-ness of the common heritage of physical education and European sports is needed. A spe-cific future cannot be created without appropriate knowledge of the past. • promoting actions safeguarding sports history archives and disseminating material and archive protection. 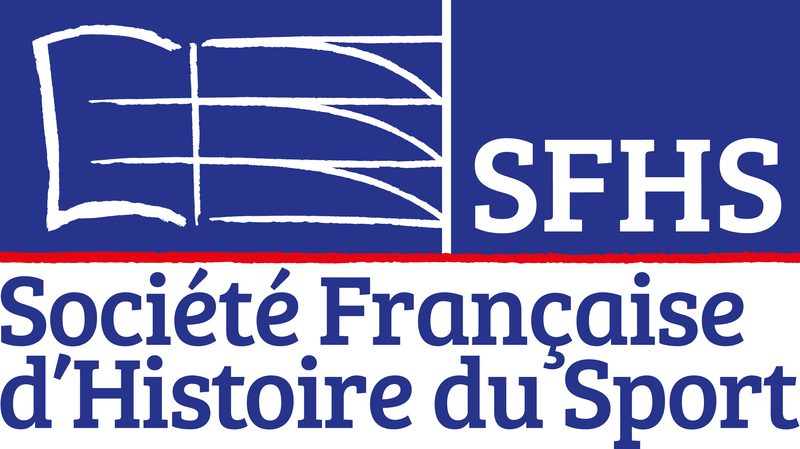 In order to achieve these goals, a European Committee for Sports History (CESH) was es-tablished within the European Network of Sports Sciences Institutes. CESH is without profit-making purposes and is made up of individual and institutional members. The organisation shall be called the European Committee for Sports History (CESH). It shall have its logo and motto as cognita historia futurum figurare. 2.1. CESH is an organisation without profit-making objectives, in conformity with Euro-pean law. It pursues scientific objectives and international accord. Everything shall be done to assure it statutes exonerate it from taxation. 2.2. No member shall make a profit from CESH, with the exception of reimbursement of expenses on the basis provided for by European institutions or fixed conditions for using received emoluments. CESH co-operates with the European network of sports sciences in higher education. The seat or location shall be the postal address of the President. The Directing council presents Interior Regulations which have to be approved by the General Assembly. These aim at a correct running of the daily business of the di-recting Council. 4.1. There are five categories of members: members, Fellows, honorary members, honorary Fellows, and institutional members. 4.2. Any bona fide researcher (in all good faith) in sports history who works in a European Union nation or in a country which has an equivalent statute in regard to cultural and educational exchange may be Member. The Directing Council may refuse mem-bership for justified reasons. 4.5. Any Member who, having published at least one monograph on sports history, ad-heres to the CESH objectives, is a paid-up CESH member, commands two languages, has presented a scientific paper in at least two CESH congresses, and will be present at the next CESH congress, may be elected to the College of Fellows as a Fellow, with less than 10% of negative votes. Annual membership of the College of Fellows is de-pendent on the payment of the annual CESH membership fee for that year. 4.7. Joining as Honorary Fellow may be conferred on any researcher in line with attaining the status of Fellow and who has produced significant contributions to sports histo-ry. Honorary Fellows are elected with less than 10% of negative votes of the College of Fellows and enjoy the same rights as the latter. They are excused payment of the annual membership fees. 4.8. Any bona fide institution (in all good faith) in sports history may be Institutional Member and receive a copy of the journal. In order to become such, a representative of this institution must ask to join. 5.1. The General Assembly is the primary organ of CESH and is constituted by all paid-up members with the right to vote. 5.2. CESH holds a General Assembly of Members where possible annually at its Interna-tional Congresses or Conferences. The President proposes the agenda. Members may propose agenda items with supportive papers. The General Secretary announces one month in advance by any proper means the CESH annual reunion to each paid-up member with the right to vote. This information is also published on the CESH web-site. This information indicates the time, place and anything concerning the general conditions of the reunion. 5.3. The General Assembly lays down the lines of development of the association, makes fundamental decisions, deliberates on the function of executive and representative organs, and constantly exercises appropriate action so that all activities are in line with the conditions of the present statutes. Its deliberations are sovereign. 5.4. The status of CESH member is in line with the version of the annual associative fee established by the General Assembly on the proposition of the Directing Council and within the conditions determined by the Interior Regulations. 5.5. Within the Assembly each member cannot represent any other member as a means of voting or nomination. o elects a recorder and ensures that minutes are being kept. 6.1. In the event of differing interpretations of the statutes, the conduct of CESH is decided upon by the Directing Council. The President presides over the Directing Council. 6.2. The Directing Council is made up of the President, the General Secretary, the Treasur-er, for four years each, and of the President Elect or the Past President, for two years each. 6.3. One Vice President may be co-opted by the General-Assembly with certain tasks con-cerning the organisation of the congresses and conferences. The position of Vice Pres-ident may not last for longer than 30 months. 6.4. The elected officers have the usual duties that accord with such charges and which are further described in the Interior Regulations. The Vice President endorse also the duty of Organising and Scientific Committee for the next international CESH con-gress under preparation. The Vice Presidents charged with other specific duties may also be elected at the General Assembly. After having informed the President and ob-tained his consent, any Member of the Directing Council has the right to represent CESH by himself or herself, unless other dispositions have been taken. 6.5. In case of the stepping down of the President or his declared indisposition, the con-duct of the Directing Council is conferred on the President Elect. In the absence of the latter, the General Secretary is named interim President until the next General Assembly. 6.6. The Directing Council is quorate when half plus one of voting members is present. It is presided over by the President or, on his/her absence, by the President Elect. The General Secretary fulfils the functions of the Council Secretary. The Directing Coun-cil deliberates always with a simple majority of those present. In the event of an equal number of votes, the vote of whoever presides over the meeting prevails. If fi-nancial matters are at stake no decisions can be taken against the explicit vote of the Treasurer. 6.7. The Directing Council may accept votes by correspondence or by e-mail. Apart from differing interpretations of the laws or the present statute, the decisions of the Com-mittee are taken on the basis of a simple majority. 6.8. The Directing Council shall present to the General Assembly final reports for the term since the previous General Assembly of the President, the General Secretary, and of the Treasurer. The reports must contain all the operations undertaken by CESH and which concern the acceptation of members in terms of paragraph 4. 7.1. In line with Article 3, all Fellows and Honorary Fellows shall form the College of Fel-lows. This latter shall elect a President who deals with the nominations of President Elect, General Secretary, and Treasurer to be proposed to the General Assembly. The College shall also be concerned with running the College of Fellows. The period of duties is two years. Election is held one year before the end of term with the possibil-ity of being re-elected once. The President of the College of Fellows may nominate a Secretary of his/her choice. 7.2. The College of Fellows proposes the new officers to the General Assembly vote. If the General Assembly does not accept the candidatures of the College, the Fellows of the College who are present take a time out and propose other officers to the same Gen-eral Assembly. The College shall elect new Fellows and Honorary Fellows with less than 10% of negative votes. 8.1. The amount of the annual dues for all classes of CESH membership shall be deter-mined by vote of the General Assembly upon proposal of the Treasurer. 8.2. CESH members who are full-time students or unemployed shall be assessed reduced annual dues. 8.4. Members, who are members of CESH and a national section which is accredited by CESH shall be assessed a reduced percentage of the annual dues. 8.5. CESH membership terminates on 31 December if fees are not paid for the following year. 8.6. Participants presenting a research at CESH congresses must be CESH-members for the civil year in which the congress is held. Candidatures to elective functions in the Directing Council (President, General Secre-tary and Treasurer) are presented to the President of the College of Fellows not later than 60 days before the date of the elective General Assembly. The President of the College shall be responsible for communicating to all voting members and for pub-lishing on the CESH website the list of candidates as well as the election date of the President of the College of Fellows. The candidates for President of the College of Fel-lows shall be proposed not later than 60 days before the date of the reunion of Fel-lows. In order to incorporate more CESH members in leading elective functions, all holders of such functions cannot be re-elected, unless stated otherwise. By a request to the Directing Council of at least three CESH members, it is possible to organise National Sections and Working Groups. They shall present each year to the Directing Council an account of their work. These national sections shall be accredit-ed by the General Assembly. CESH has its own website (www.cesh-site.eu) operated on a regular basis by the President and by the General Secretary, to whom everyone may signal news or in-formation of interest to sport historians. CESH may be dissolved by a vote of three-quarters of all CESH members, who an-swered by postal ballot. Sums of money remaining in the account may be given to a Foundation chosen by the General Assembly.